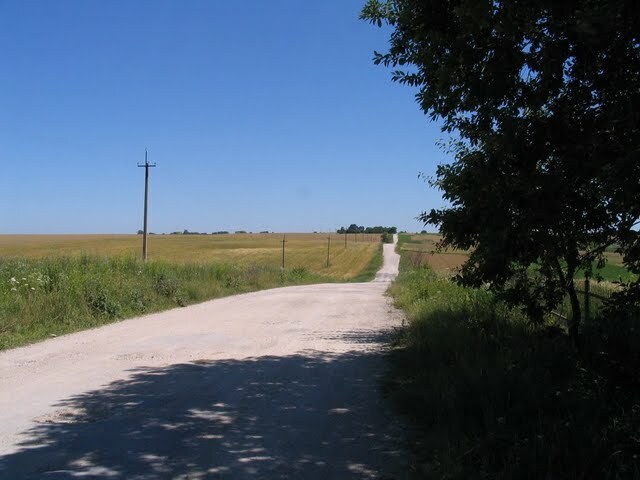 In July 2009 I visited Kresy – Zbaraż (Ukraine) for the fourth time in my life. The visit to my homeland coincided with the cleaning of the cemetery in the village Stryjówka, close to Zbaraż. This project was organized by Alina and Ireneusz Skrzypczak from the Longinus Foundation. 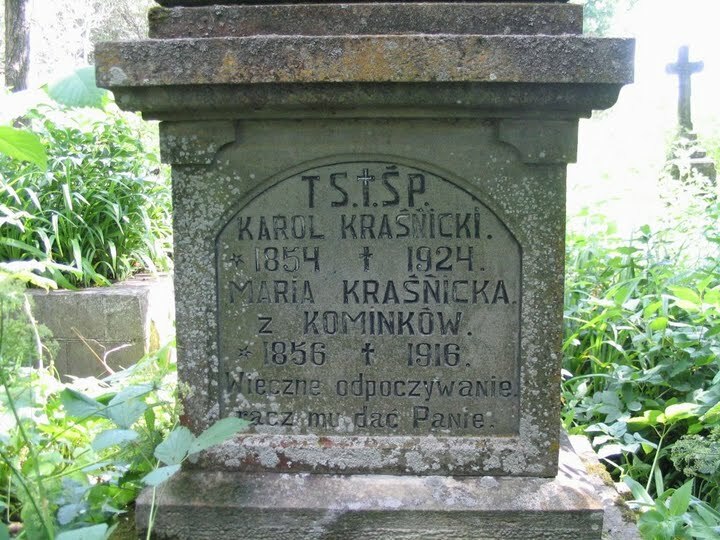 The name Skrzypczak is well-known in Zbaraż, as Ireneusz and Alina have, for many years now, been clearing the Polish cemetery in Zbaraż with the help of students from the military school in Łancut, Poland. 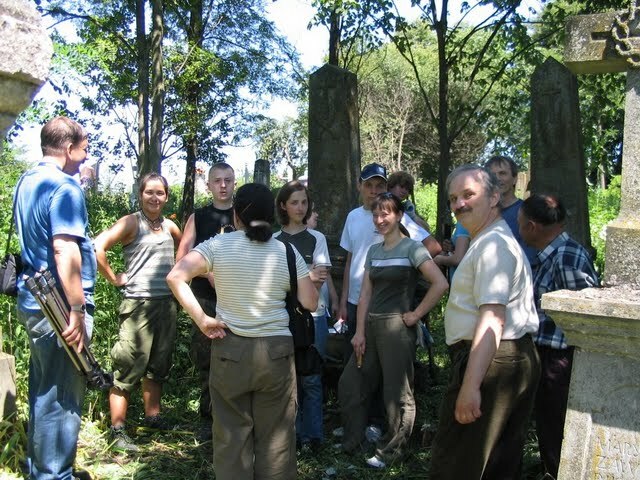 Before they started this task, we visited other cemeteries in the Zbaraż region. 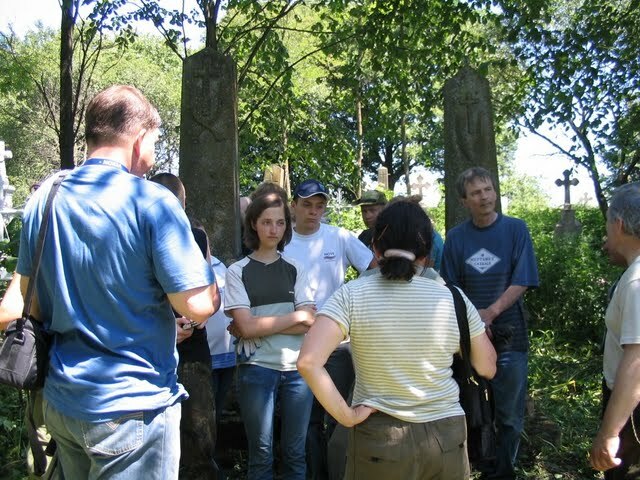 First we visited the Jewish cemetery in Zbaraż. Only about ten graves remained after the cemetery was destroyed by Germans during World War II. In this cemetery, according to Henryk Ślaski`s guidebook to Zbaraż, the oldest tombstones with engraved Polish Eagles were dated 1756 and 1790. 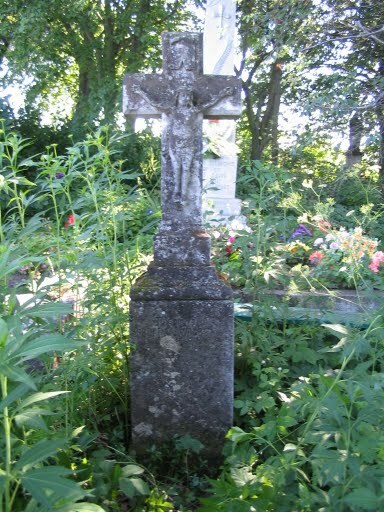 Visible on one of the graves is the inscription in Polish: "Teni z Tinterów Aszkenasowa 1881-1937”. Next we went into a neighboring Polish cemetery. We saw rows of grave stones, many of which were tilted in different directions. 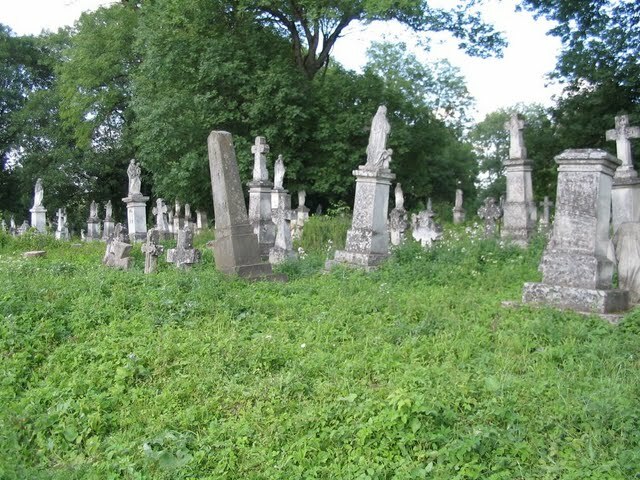 We were particularly interested in the results of renovations to the cemetery. With some trouble I found a group of tombstones which included my grandfather Antoni’s as well as other relatives’ stones. The last cemeteries that we visited were in Stryjówka and Maksymówka. 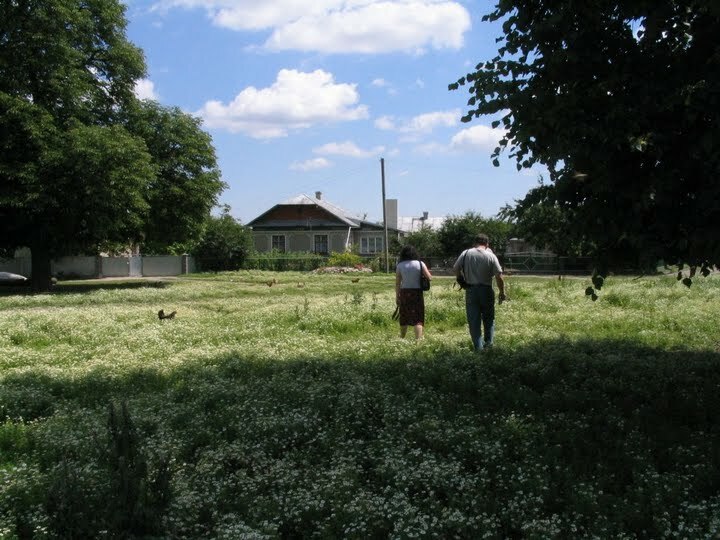 It was decided that Stryjówka cemetery would be chosen for our project, as Jan and Andrzej Łukasiewicz, whose roots came from Stryjówka, had traveled to help with the cleanup. After that decision was made, I was able to witness first-hand the work done by the boy scouts of the 206th Warsaw Starszoharcerska Pack -- the Jan Skrzetuski Foundation from Warsaw. 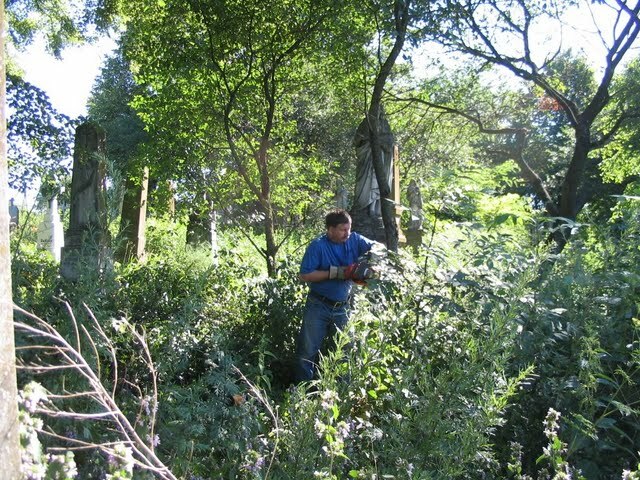 Under the supervision of Alina and Ireneusz Skrzypczak, the scouts helped in the cleaning of the cemetery in Stryjówka. 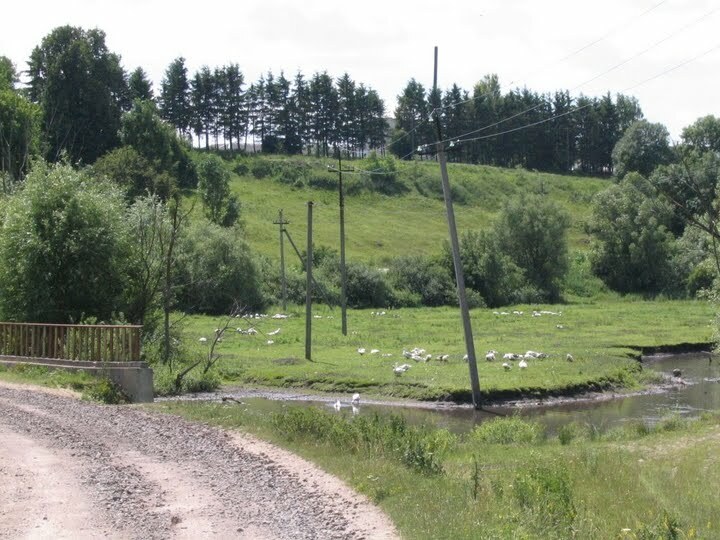 The large cemetery was near the road which leads to the village of Kretowce. 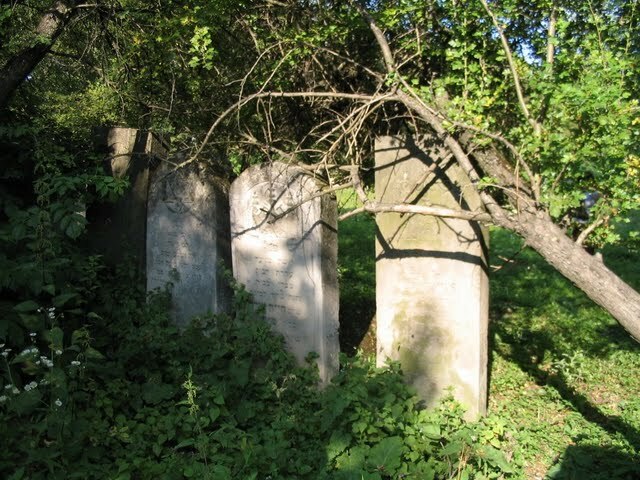 It was divided into two parts: one part which was presently used by Ukrainians, and the other, hidden in thickets, was the old Polish cemetery. 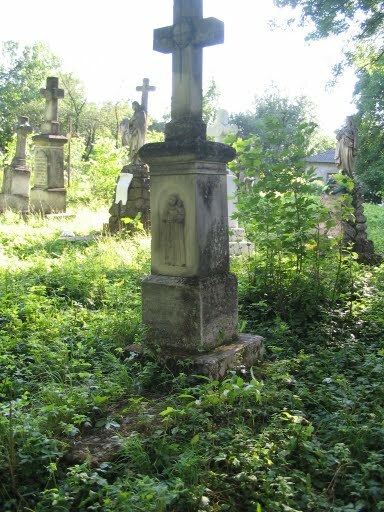 The Polish part of the cemetery has been untouched since the Polish occupants' departure to the west, which was after 1945. 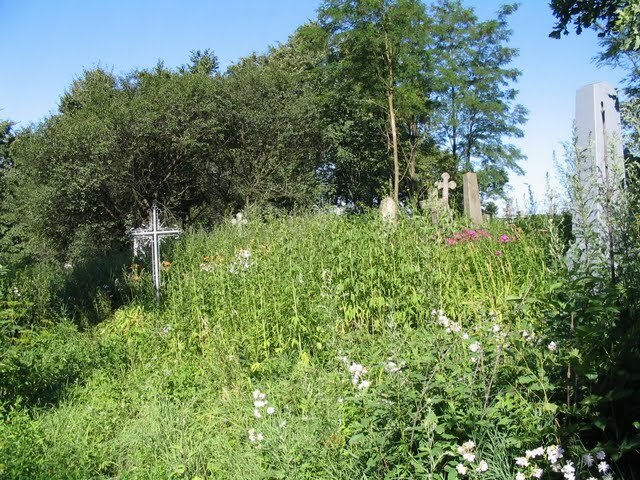 The cemetery was entirely overgrown with shrubs, nettles and weeds. 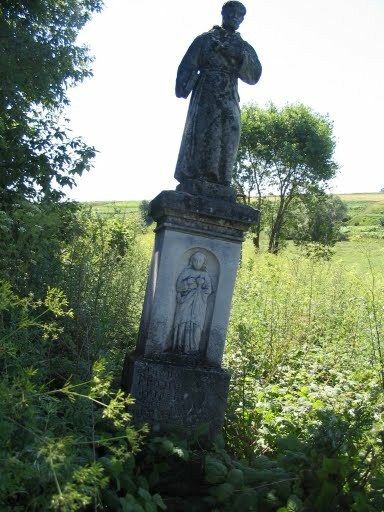 The work in the cemetery was overseen by priest Berard from the Church of Friars Minor of the Observance in Zbaraż. The scythe and axe that were used were borrowed in the nearby village. The chainsaw was brought from Poland by Mr. Skrzypczak. 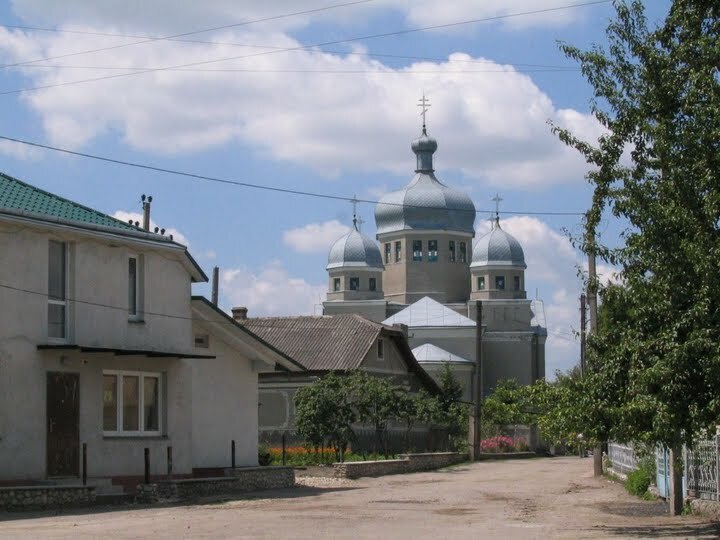 Ireneusz cut down shrubs and sawed the smaller saplings while Alina took a picture of each tombstone and made a list of all inscriptions in a large notebook. The young people worked with scythe and axe as well as their bare hands. The cut shrubs were carried out to the edge of the cemetery. Inaccessible and forgotten graves began to emerge, and we could read surnames: Barylski, Kominek, Kraśnicki, Fedora Wałowa, Małachowski, Orłowski and so on. 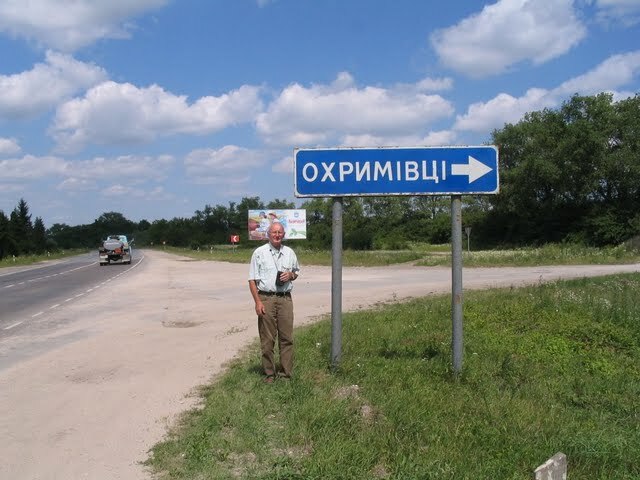 Some tombstones had inscriptions recorded in the Cyrillic alphabet, among which the most frequent surname was Kruk. The scouts who were working in the cemetery aroused the interest of the present occupants of the village. Some time later one of the villagers appeared in the cemetery. During the conversation he told us how he admired the ideals and enthusiasm of the young people in the care of our ancestors' memory. 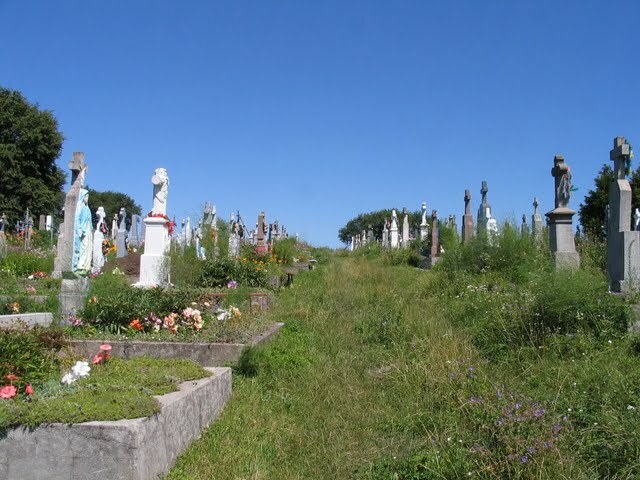 It is not important that within a year the cemetery will be overgrown again, because we know it will stay in our memory forever. In the meantime a funeral procession walked the road to the Ukrainian cemetery. A large group of people with flags were singing, and in front was the Orthodox priest and two men. I respectfully stood up and listened intently to the progressive hum and suddenly I heard clearly one man from the priest’s company shout: "If Hitler won the war, then here there would be a paradise!”. I was astonished by these words. Why, after so many years after the war, do some men still believe in the fascist paradise on Earth? At last it was time to say goodbye to this charming country as well as to the nice people. Next morning I had a long journey home. Near noon we got to the long line of cars at the border. We waited about four hours on customs and passport control. Far away we could see the Polish white and red flag and the blue European Union flag high up on poles. How nice it was to come back to Europe without borders.